Monday Motivation 04.09.12: When was the last time? I’ve always been an adventurer and had a spontaneous spirit. I love to travel and visit new places – even if it’s just the next state over. Of course there are several factors of having responsible spontaneity – time, finances, and calculated risks. You may ask how can it be spontaneous when you have to be responsible and calculate risks? Yes, it seems contradicting but when you are an adult, these are factors you cannot simply ignore. 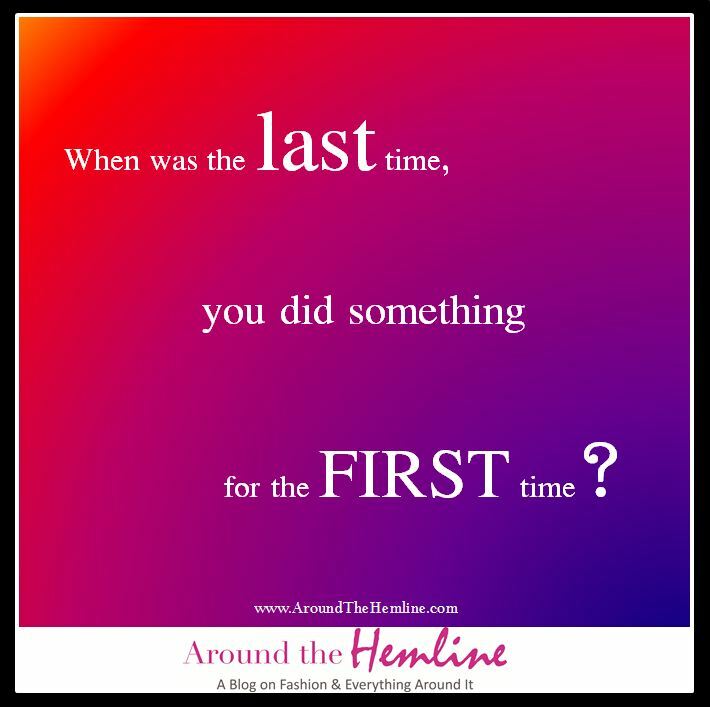 Think about it, when WAS the last time you did something for the FIRST time? Through the years, I’ve created two bucket lists – one short-term list and one long term list. The short-term bucket list include restaurants I want to try, museums I want to visit, shows I want to see, and in New York there are touristy tours I’d like to do! The long-term bucket list include career-goals, countries I want to visit, physical challenges like running a marathon, and various life-fulfilling plans. However, today’s Monday Motivation is focusing on the short-term bucket lists because these are easily attained. Do something! If you ever wanted to take that cooking class? Sign up! Ever wanted to go hike up the Hollywood sign? Hike it (yes, I’ve done that)! Ever wanted to go to a movie alone? Get in line! Ever wanted to play in an instrument? Go online & research the various ways to learn! Ever wanted to start a blog? Start a blog (ahem *smile*)!Many of us are uncomfortable of doing things alone and need the company of others, which is completely fine and natural! Things are more exciting when you have someone enjoying the experience with you; however, if you never enjoy your own company, how can someone enjoy yours? I’ve learned that sometimes you don’t have the time to wait for someone to do something with you, so do it for yourself. I balance my list by doing some alone and some with others (having a very adventurous boyfriend helps too!) Nonetheless, just go DO something for the FIRST time! Trust me, doing something that you’ve always wanted to do – small or big – will definitely change your outlook in life because it brings a rush of accomplishment and not to mention an amazing experience! The self-gratifying rush becomes addicting that you’ll work your motivation up to really want to to accomplish those long-term bucket list items! So, go and do! Hey! Thanks for stopping by my blog & levniag a comment 🙂 Your bucket list (and blog!) is awesome, I’m happy I came by and checked it out. Good luck with your goals, and I sincerely hope one day my Life List will be as in-depth as yours currently is. I need to get to work on it ASAP!